High season in Aspen is moving into full swing, which means the arrival of well-heeled travelers from far and wide who are not only looking to hit the slopes, but to have some fun après ski as well. If you’ve booked a luxury villa rental in Aspen this season–or are thinking of doing so–you’ll likely want to think about where to eat and what to do when you’re not enjoying the great outdoors. The 2010/2011 season has seen some interesting additions to the Aspen restaurant scene, in addition to the tried and true classics that every traveller to this ski heaven should try at least once. If you’ve been to Miami, you’ve likely sampled the wares at Casa Tua’s outpost in that city, which is set up in a gorgeous Mediterranean-style house, circa 1925, that is also home to a member’s only club on the upper level. Aspen’s Casa Tua has opened up in the space that once belonged to Ruth’s Chris and Guido’s, and is a sprawling 5,000 square foot, two-story mix of elegant and Aspen rustic. As 2010 comes to a close, Villazzo stands at an exciting crossroads. Behind us, 2010 has been a roaring success in adding new properties and destinations for our customers to enjoy. The present has us gearing up for holiday festivities here in Miami as well as in our new winter haven in Aspen. And the future shines bright for 2011, with Villazzo adding yet more properties in all of our destinations, including Ibiza. We’re excited about the future of Villazzo, and we’re ready to pass that excitement along to you through our unparalleled collection of luxury villas, destinations, and services. Thank you for choosing Villazzo. 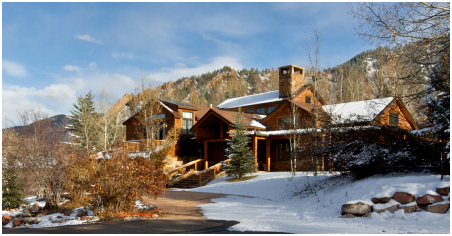 Last Chance To Book Your Villazzo Holiday in Aspen! Time is running out on your chance to book a holiday vacation at one of Villazzo’s stunning VillaHotels in Aspen – but properties still remain! If you’re looking for a snowier, picturesque Christmas vacation, consider the captivating VillaHotel Isabella, a truly luxurious masterpiece of mountain contemporary design and architecture. Use promo code “Newsletter 1210” when booking VillaHotel Isabella and get a 10% discount! We’re also featuring an amazing Christmas promotion for VillaHotel Rose. Nestled amidst the snow-topped Rockies, it’s our newest VillaHotel in Aspen, perfect for creating holiday memories that will last a lifetime. Book now for Christmas and receive an incredible 20% off your stay. With the discount, you’ll pay just $5,700 a night instead of $7,100! Don’t delay any longer! These final few properties are sure to be booked up very soon! Click here to contact us to book your holiday vacation. Looking back at 2010, Villazzo made a big hit by expanding its list of “V” Villas and VillaHotels in all of our luxury destinations. Because our team of luxury travel experts regularly visit destinations like Miami, and Saint-Tropez, we’ve been able to add a full roster of “V” Villas in all our vacation destinations. 2010 also saw the opening on our new office in Aspen. 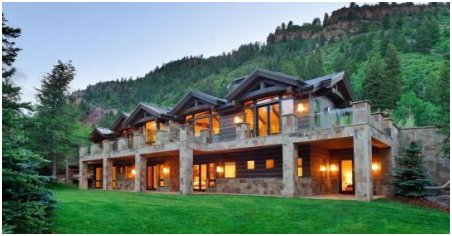 If you haven’t already familiarized yourself with our “V” Villas, new VillaHotels, and the Aspen vacation destination, please be sure to visit Villazzo.com to see what we have to offer. 2011 will see the addition of many new luxury villa rental properties in all of Villazzo’s exclusive resort destinations. We are very excited to announce that preparations are underway to launch a selection of new “V” Villas in Ibiza, which will be available for rental sometime in early January 2011. Be sure to check back at Villazzo.com for new additions to our Ibiza destination. Also, now that the summer is over, Saint-Tropez has now returned back to being the sleepy little seaside village that endeared it to luxury travellers some 40 years ago. And although Saint-Tropez remains inactive during the winter months, preparations are already underway to make the 2011 summer season there spectacular. Since booking luxury villas will begin in earnest at the start of 2011, now is the time to reserve your spot in Saint-Tropez. 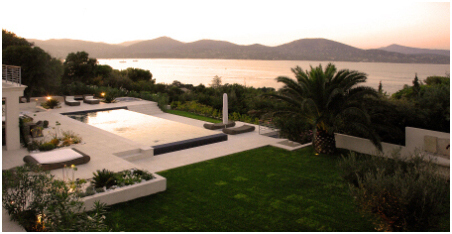 Be sure to browse our selection of VillaHotels and “V” Villas in Saint-Tropez. Use promo code “Newsletter 1210” when booking a VillaHotel or a “V” Villa and get a 10% discount! 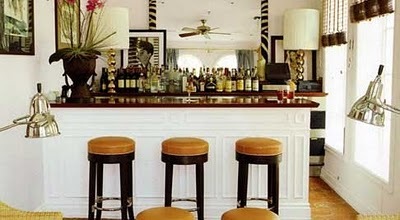 You are currently browsing the Luxury Home Rentals in Miami, Aspen & St. Tropez – Villazzo blog archives for January, 2011.